Take a look inside your bathroom and you’ll find a tool that can fix almost any beauty problem. The cotton bud is much more than a hygiene essential; they are also a must-have for professional make-up artists. Free them from your bathroom shelf; it’s time to put the tiny tool to use! Tip one: Apply some Vaseline to a cotton bud to help buff out any scuffs on your heels. You no longer have to waste time or money taking your favourite pair of heels to a shoe shiner, put some elbow grease into it and you’re shoes will look brand new. Tip three: Use the bud to apply a super thin and precise highlight down the centre of your nose. This is a light-attracting method that is perfect for making your features pop. Tip four: Give yourself a natural root touch up between hair appointments. If you’ve got the odd grey hair, use an eye shadow or mascara to cover it up! The spongy texture of the cotton bud offers a precise application that won’t smudge. Tip six: Never waste any remaining product! Use the swabs to get into every corner of the foundation bottle. Tip seven: We’ve all experienced the pain of a smashed eye shadow palette, so instead of running the risk, dip your cotton buds into some colour and store in a plastic bag. You can then grab this for a quick mid-day touch up. Tip eight: Clean up any cat-eye winged liner mistakes with a dampened cotton bud. 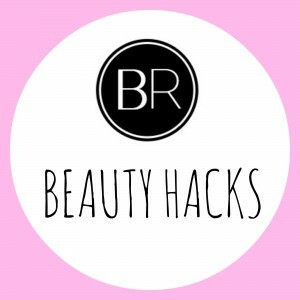 There is really no make-up mistake that this can’t fix. Let us know your favourite beauty hacks on Twitter and in the mean time, why not treat yourself to a manicure? You deserve it.